Looks like the Mandalorians are going to have a good year, from Hasbro and beyond. Little launching vehicles, including Slave 1 in Jango colors. An OT repaint can't be far behind. The most interesting part of this is that the packaging contains what looks like the first glimpse of Boba's look on the Clone Wars. ESB Evolutions Boba Fett will be rereleased on the new Vintage style card. The highlight for me is the mail away for the new Vintage Collection line, collect five UPCs and send in for a vintage-style rocket firing Boba Fett. That's right, the infamous toy that was canceled for safety reasons has been recreated, sculpted and articulated just like the original vintage figures. Theres lots of other cool Star Warsstuff coming out, and surely even more Boba Fett that I've overlooked. 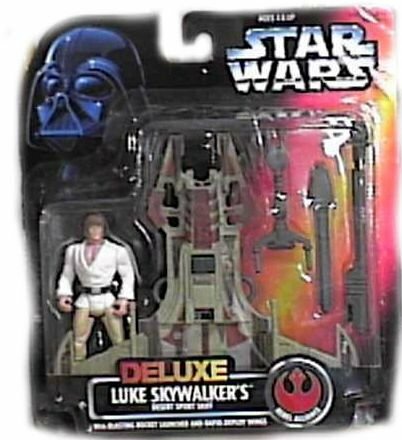 You should check out the galleries of products on rebelscum.com. "Got your hands up almost like you're begging. Beggin' for a little piece of Boba." hahaha they used the same pair of gloves for both ESB and ROTJ variants. everyone knows that there are two different sets of gloves. and the EE-3 blaster is oddly colored. I hate how they keep making the blasters look stupid in their attempts to make them look less like real guns. But otherwise I can't wait! We have a lot of good stuff coming up. In particular I want the mail-away Boba. awsome, they finally used my idea! by that I am referring to the vintage boba fett, too bad I already found an orginal. http://starwarsblog.starwars.com/index. 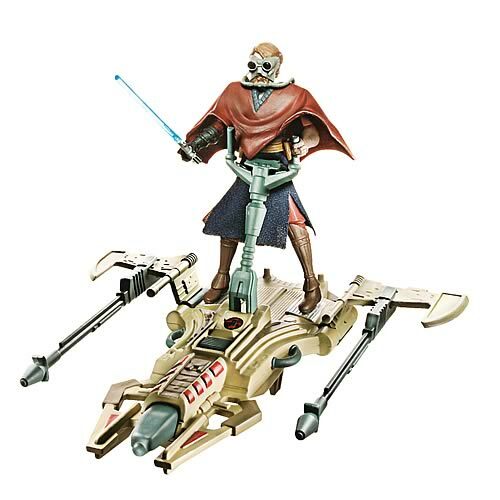 … -2010/#rss Here's another, it's a Jango with Slave I and Obi-Wan set from Galactic Heros. http://starwarsblog.starwars.com/index. … -fair/#rss Slave I (Boba colors) lego, though I don't think it looks very good. http://starwarsblog.starwars.com/index. … -swag/#rss White Boba lego-guy. I think it's something you can only get if you're at Toy Fair though. http://starwarsblog.starwars.com/index. … -fair/#rss Jetpack backpack. That Slave I isn't that great. Why, this one is better. I have to say, I like the new Han Solo in carbonite. Notice that they included Bossk as well, and it looks as if Boba Fett has a cape... the headpiece is totally redone too, I guess they finally thought to separate the helmet and jetpack. I'm dissapointed the new one isn't as good as the previous version. I really wanted the damn thing too! =/ I guess I'll continue to just go without one. The C3PO backpack, however, cracks me up. I'm surprised they didn't think of this before (maybe they did and I don't know about it). I love the 3PO backpack too, it's a great idea! As far as I know this is the first one like it. 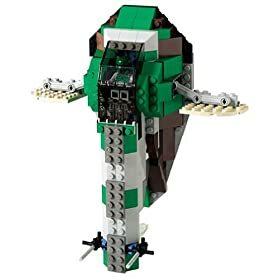 I have the old-old Slave I lego, from 2001? Not sure when it came out but that's when I got it. That? I have it too. Good times. I think I saw some Republic Commandos in that mix. It's about time. Where? I couldn't find them. They were in the link Miba had with all the Galactic Heroes figs. There were a couple of the Delta Squad boys on there. That can only mean the other two are on their way....I hope. Oh, by the way. I never played the PS2 version of The Force Unleashed, but in he PS2 version you get to fight a Mandalorian and his Basilisk War Droid when you're on Cloud City. I was wondering if this is A figure of that guy you fight? Don't know who it is, but they're in Mandalorian armor. Found him on this page. So I checked the first page of that second link you put up Sadriel, and man I can't believe what I saw. 2. Force F/X Lightsabers with removable blades. I'm glad I still haven't bought one, because now I can get one of these. 3. The Mandalorian you are referring to is Chop'aa Notimo. 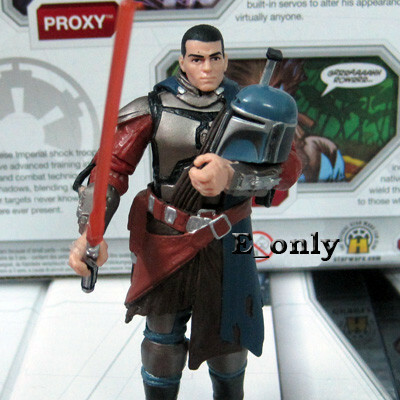 The figure is not him, it is Galen Marek in his bounty hunter disguise (the outfit is unlocked after you play the Cloud City level in the PS2 and Wii version, not sure about the others). I know it's not the New York Toy Fair, but Boba is the man of the hour in the latest Toyfare Magazine this month. The wife picked mine up the other day from the comic book store and needless to say I was pretty thrilled. A lot of pics from the recent New York Toy Fair and a short article about the new rocket firing Fett fig coming out this year. 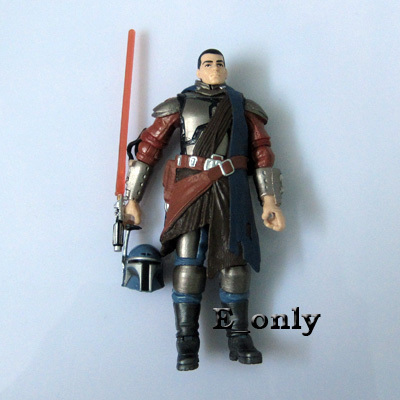 Looks like the Galen Marek in Bounty Hunter disguise, mentioned above, isn't just coming with a set of Mandalorian armor like in his Toy Fair pics. 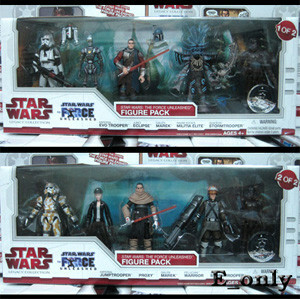 Looks like the battle pack actually has him with a Mando helmet, as well. Don't remember that as part of the game, but hey, I'm not arguing. Nice little get up, I must say. It would appear that 2010 is the Year of the Fett. Yeah, Lucas is definitely milking the appeal of Fett and Mandalorians for the Empire Strikes Back anniversary. Yep, he's nearly exhausted all other means of grabbing money and has now decided to cash in on this. I wonder how long till he's desperate enough to release the Holiday Special on dvd? Yeah, I've been waiting a while for that one myself. not even that, i'm still wondering when we're getting the saga on blu-ray. have you seen a boba fett cookie cutter? there's a thread somewhere on it, but it's one thing to see a picture and it's another to actually have the awesomeness yourself..
have you seen a boba fett cookie cutter? I wonder how long till he's desperate enough to release the Holiday Special on dvd?